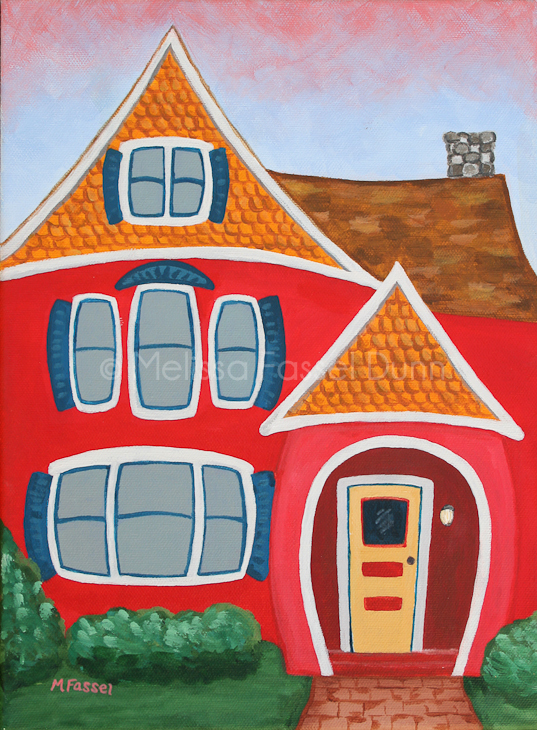 I painted this after seeing the “real” house, in Andover, Massachusetts on the cover of Boston Magazine. The house on the cover ‘spoke’ to me, in desperate need of some whimsification. Who wouldn’t want a whimsified house? Contact me to add some whimsy to your walls!